CHATHAM — It’s an 85-degree, humid Wednesday afternoon at Veterans Field, and John Schiffner can’t stop singing. 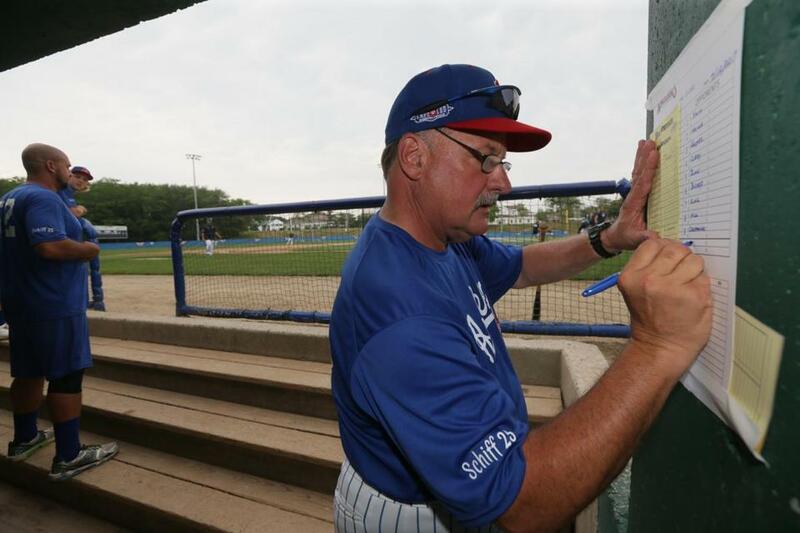 He is standing in the Chatham Anglers’ dugout watching his players take batting practice, just as he has done for the past 34 summers, 25 of them as manager. The song is about serenity, fitting for Schiffner in his final season as the Anglers’ manager. When asked about his decision to retire, his answer is simple: it’s time. At 61 years old, Schiffner’s 534 regular-season victories are the most of any manager in Cape Cod Baseball League history. He has coached around 1,000 players, including 100-plus major leaguers and 39 first-round MLB draft picks. More than 100 of Schiffner’s former players and coaches are either coaches or scouts or hold administrative positions at the major league level. “Some people like to call me the summer mayor because I have been here so long,” Schiffner said. Ask his players, coaches, or Schiffner himself about his managing style, and everyone gives the same response: he’s a player’s coach. It figures, because he first arrived in the Cape Cod Baseball League as a third baseman for the Harwich Mariners in the summer of 1974. “Some people like to call me the summer mayor because I have been here so long,” said Chatham Anglers manager John Schiffner. After three seasons and a brief professional stint, Schiffner returned to the CCBL. He loved the seaside towns and how the communities embraced their teams. He coached the 1977 season with Harwich before long-time Chatham manager Ed Lyons, Schiffner’s mentor, offered him an assistant position. It was a no-brainer. Schiffner, known to everyone as “Schiff,” said he would have accepted any coaching position at the time, but he preferred Chatham, which always attracted large crowds. Schiffner became the third base coach for the A’s — they were renamed the Anglers in 2009 — until 1982. As a young coach with playing experience on Cape Cod, Schiffner easily related to players. While Lyons oversaw the operation, Schiffner took an active approach by pitching batting practice and hitting grounders every day. Schiffner became a scout for the Montreal Expos before returning to Chatham as the third base coach in 1990. Around the same time, he accepted a social studies teaching position in Plainfield, Conn., about 125 miles west of Chatham. Schiffner was also named Plainfield’s baseball coach, a role he served for 33 years. He will be inducted into the Connecticut High School Coaches’ Association Hall of Fame in November. Schiffner was evidently overqualified for the high school coaching position, but he enjoyed nurturing the young players. He felt satisfaction when they broke out of a hitting or pitching slump after working with them, or whenever a student received a high grade on a test. “You pound them to death with as many positives as you can,” Schiffner said. Schiffner’s opportunity to prove himself as a manager came midseason in 1993, when Chatham manager Rich Hill took over as head coach at the University of San Francisco. At the time, Chatham was in last place. After Schiffner became interim manager, the A’s won 16 of their final 23 games, culminating in a CCBL championship game appearance. Schiffner left the A’s administration no choice but to offer him the position full time. He promptly accepted and hasn’t left since. Every season he inherits a new crop of players from many of the top college programs in the nation. He gives them what he calls the “Chatham experience,” a blend of top competition, which he equates to Single A level, with a relaxing summer off the field. Each year, he relays three messages: leave better than when you got here, help us win some games, and have the best summer of your life. Anyone who has played for the Chatham Anglers knows manager John Schiffner stresses having fun as much as (if not more than) winning. The summer is a transitional period, and many players are worn down from the rigors of high-level college baseball. Schiffner stays in close contact with their college coaches so he can prepare the players for the college season. But he also remains distant enough to allow them the freedom of enjoying summer in Cape Cod. Five of Schiffner’s former players have hosted their weddings on Cape Cod. He was invited to every one. After he announced on June 27 that he would retire after the season, the news spread to his former players. Many of them have planned cross-country trips to Chatham to catch some of his final games. Schiffner’s farewell season has allowed him to reflect on the players and relationships that have defined his time in Chatham. He vividly remembers when Andrew Miller, now one of the top pitchers in MLB, struck out the first 12 batters he faced before the game was called because of fog, and the moonshots future MLB star Mark Teixeira used to hit to the top of the hill beyond the outfield fence at Veterans Field. 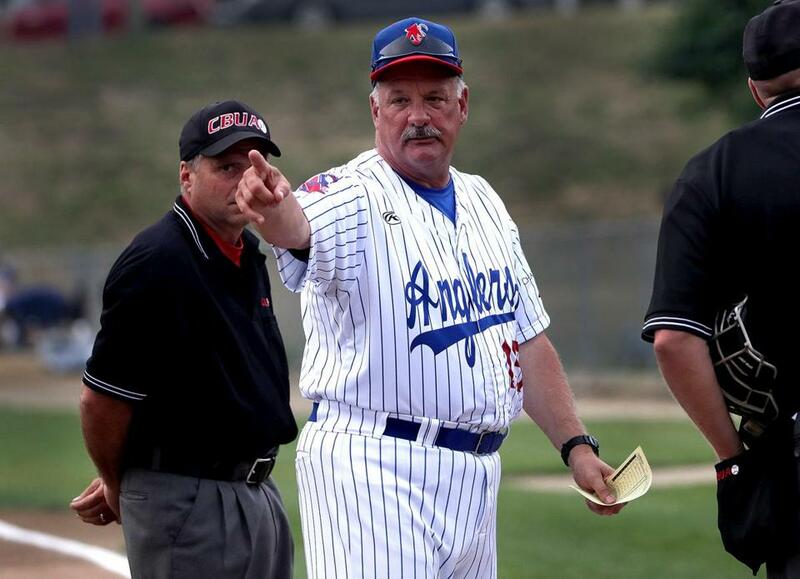 In 2001, Schiffner was asked if actor Brian Dennehy could play him in the 2001 romantic comedy “Summer Catch.” Schiffner has long told his players they will cost themselves potential money if they don’t take advantage of the opportunity to improve in Chatham. In the movie, Dennehy lights a $20 bill on fire to convey the message. Schiffner said he doesn’t buy into dramatization, but sometimes his players need some incentive. In 1998, he told his team midway through the season that he would get a tattoo if they made the playoffs. They turned a mediocre season into a CCBL championship. Schiffner kept his end of the bargain. 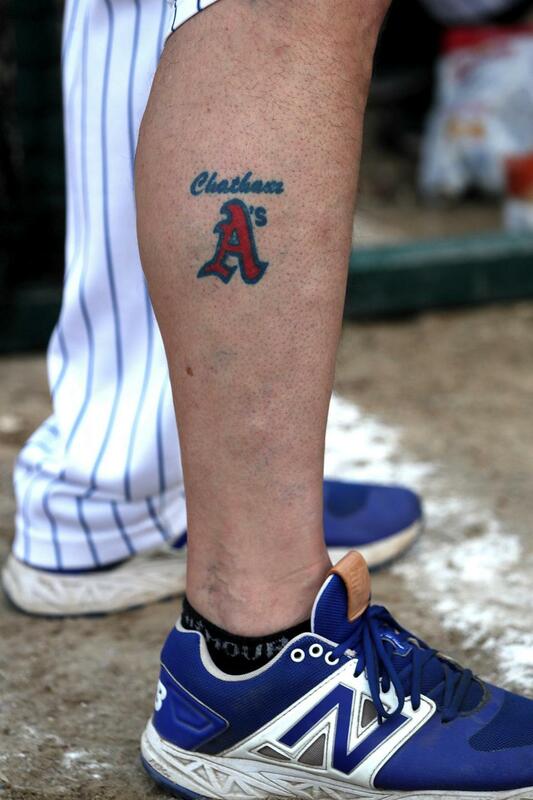 Emblazoned on his right leg is “Chatham” with a red, cursive “A” below. “Very few kids leave here saying they don’t have a good time,” Schiffner said. John Schiffner told his team midway through the 1998 season that he would get a tattoo if they made the playoffs. Even better, they won the CCBL championship. Schiffner is unapologetically emotional. One minute, he pokes fun at his third baseman for bobbling a ground ball. The next, he gazes at Veterans Field, arms hanging over the dugout rail, tearing up as he speaks about the appreciative text messages he receives from former players. He says he has 1,000 sons despite not having any children of his own. Before games, he and his players wear matching royal blue Anglers shirt with “Schiff 25” inscribed on the right sleeve. At Chatham’s Fourth of July parade, Schiffner spotted a sign that read, “Thanks for 25, Schiff.” Every final visit to an opposing ballpark triggers emotions. About five hours prior to each home game, Schiffner arrives to Veterans Field before anyone else, gazing at the field rooted in memories. These days are numbered, a sad but peaceful thought. But the friendships, what he truly cherishes, will continue. After games, Schiffner invites his coaching staff to his Harwich home for a beer. Whenever one of his players or coaches passes through the area, he tells them to say hello. He says he will miss the field, the players, and even the recurring fog terribly. He admits that walking away from the team, which he said has changed his life, will be tough. But he plans to stay involved with the Anglers and attend games whenever he can. He can’t stray from his favorite spot for too long. 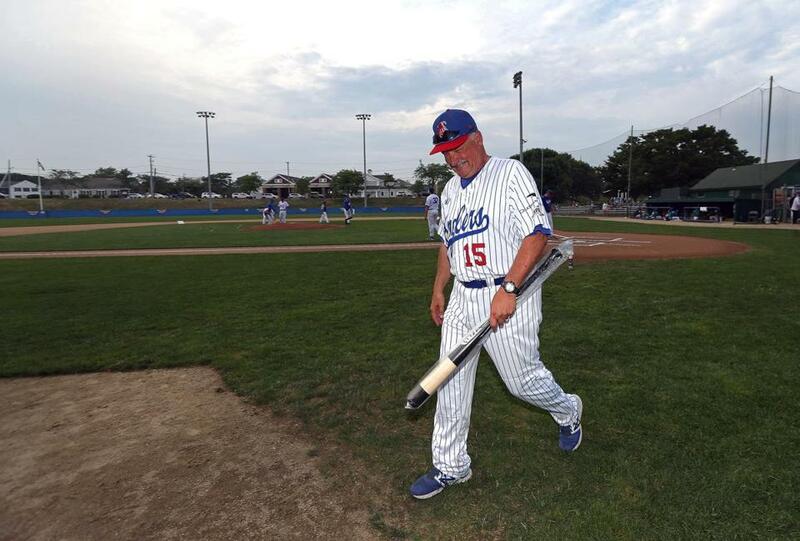 John Schiffner may be retiring as manager of the Chatham Anglers, but he said he doesn’t plan on staying away from Veterans Field. Alex Speier of the Globe staff contributed to this report. Brad Almquist can be reached at brad.almquist@globe.com. Follow him on Twitter at @bquist13.